Gone are the days when traditional text was all you needed to market a product. With the rise of social media content, more companies are turning to video because it’s visually stimulating and can communicate a product with minimal effort needed from the viewer. Let’s face it: It’s easy to digest a video while scrolling down your Instagram feed or Facebook timeline. Reading a full-length article? Not so much. Companies are investing millions into high-quality video campaigns to showcase their services. This means that your company will likely need a solid video to compete. Unfortunately, whether you hire in-house videographers and editors, or outsource your video campaign to an ad agency, the results can be incredibly expensive. As a cost-saving measure, you may want to produce a video campaign on your own. If you and your team have little-to-no post-production experience, Wave.Video Pro can help you build high-quality videos easily and affordably. 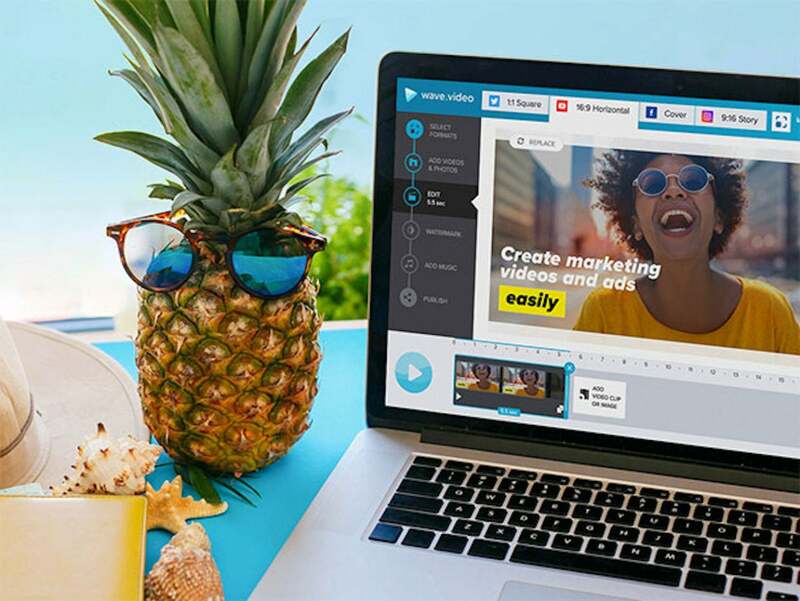 You can find a 1-year subscription to Wave.Video Pro here for $49. With Wave.Video Pro, video production is streamlined with a simple drag-and-drop timeline. You can upload your own media files, add text to your videos, and edit content with a host of transitions, fonts, and effects. If you need more content to spice up your footage, there’s a library of over 500 thousand videos, images, and sounds which you can mix, match, and edit to meet your needs. Wave.Video Pro’s asset library also features over 300 thousand royalty-free audio clips. If that wasn’t enough for you, Wave.Video Pro offers over 200 million premium assets available for purchase. To ensure maximum compatibility for any social platform or viewing device, Wave.Video Pro can export projects in over 30 video formats and multiple aspect ratios. You can also make a custom watermark to accompany your videos. Wave.Video Pro typically retails for $708, but you can find it here for 93% off, bringing the price down to $49.